A "do nothing" gets a bad rap in a busy bee world obsessed with constant updates, feedback, postings…a proverbial deluge of activity. The reality is, it a takes a lot of effort to do nothing. Long-time, and long-term, financial farmers will appreciate and validate the soundness of this theory. One of the great modern philosophers of our time was Yogi Berra who had innumerable "yogisms" over the years. One of the best? "You can observe a lot by watching." 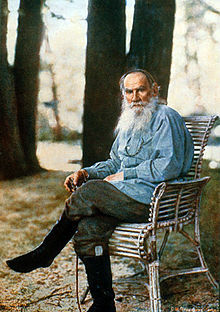 For those readers lucky enough to have read Tolstoy's masterpiece "War and Peace," the value of doing nothing is often featured as a prominent theme when faced with making a decision without enough data or confidence. "When in doubt, do nothing." Finally, one of my favorite trading books of all time is Reminiscences of a Stock Operator which is a loosely veiled biography of the stock trader Jesse Livermore, who throughout his career had many massive ups and downs, is quoted as saying that he made most of his money by "sitting." That is to say, he made his move into an equity position and waited. And waited. It takes a lot of effort to do nothing; there are multiple temptations, earnings releases, perceived opportunity costs, and yet to those who wish to Invest Like A Farmer, to "do nothing" is something indeed.